Nov. 7, 2017: The hope of a fountain of youth has been dashed forever. It was just days ago (October 30th) that researchers at the University of Arizona who study human aging said that it is mathematically impossible to halt or reverse the biological clock hands of time. Gone is the prospect of living young instead of growing old. The idea of an anti-aging pill is a pipe dream – like trying to catch the wind. It is biologically unattainable. “There is logically, theoretically, mathematically no way out,” said a professor of evolutionary biology. Aging is inevitable. Over time hair cells cease making pigment and hair turns grey. Mitochondria, the tiny power plants within living cells gradually lose their ability to generate energy. By age 80 only about 4% of these cellular power plants are functional. Instead of cells largely generating energy from fats they generate energy from sugars that can then cause uncontrolled growths (cancer). As old cells begin to become senescent, that is, they cannot divide and renew themselves as easily as they once did. Aging is “an incontrovertible truth” a university-based biologist recently said. “You might be able to slow down aging, but you can’t stop it” said another professor of evolutionary biology. An authoritative report published in the Proceedings of the National Academy of Sciences says, once and for all, aging is inescapable. Wait! Stop the biological clock. Some 5,267 miles away, researchers at the University of Exeter, England, report the impossible. 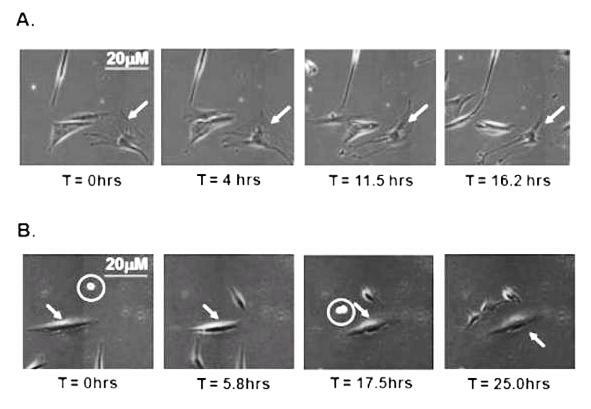 The evidence is clearly visible – old cells in lab dishes rejuvenate and become youthful again over a 92-hour period! Some cells regained youthful activity within just 17.5 hours! Within a short time these “youthified” cells had remarkably longer telomeres, the ends caps of their chromosomes. What, pray tell, provoked such a rapid biological U-turn? What researchers discovered is that splicing factors within aged cells that cause cells to divide and regenerate can be turned back on again with instillation of resveratrol and its analogs (look-alike molecules). Resveratrol is known as a red wine molecule that activates the Sirtuin1 survival gene, mimics the health effects of a limited calorie diet, renews mitochondria, and more importantly, raises the prospect of living youthfully throughout life. By restoration of splicing factors, old cells are able to grow and perform the self-healing observed in youthful cells. 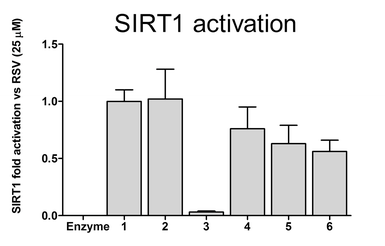 The landmark experiment is documented in a recent edition of BMC Cell Biology in a report entitled Small Molecule Modulation Of Splicing Factor Expression With Rescue From Cellular Senescence. While these researchers pointed to the synthetically produced resveratrol analogues, it appears resveratrol itself was on par with its synthetic cousins. Bar #1 is resveratrol. What this means is that prolonged youthfulness, or even reversal of aging as we know it, can be accomplished at the cellular level with a molecule that is widely sold in health shops today, no synthetic molecules needed. Biologically, you would never be too old to benefit from taking a resveratrol pill.